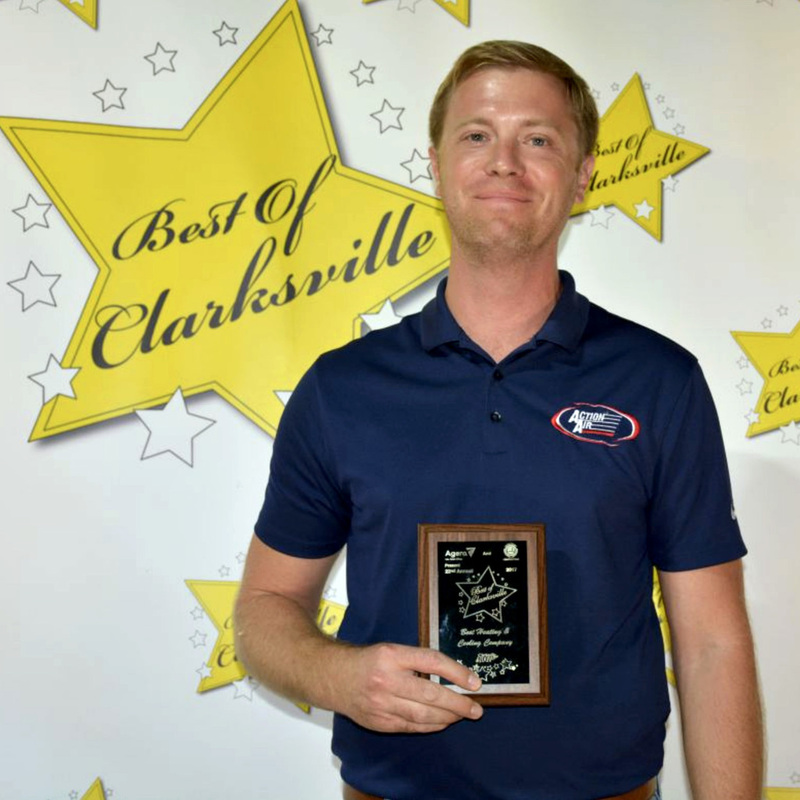 Action Air was voted Best of Clarksville for the 9th Year! The Best of Clarksville was held Thursday October 5th at Governor’s Square Mall and was attended by over 3,000 patrons. Action Air won for Best Heating & Cooling for the 9th time. Pictured is Luke Jones accepting the award for Action Air. The Best of Clarksville is a yearly event that raises money for local charities. The community voted for their favorite businesses based on nominations in several categories.